Check out our Exciting New Items in the What's New Section! To Book Your Event Now! Affordable Moonwalks Etc. 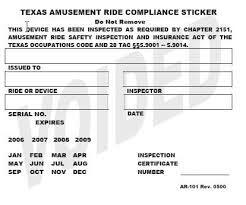 : KHOU 11 Investigates the need for Bounce House / Moonwalk owners to comply with the Texas law via inspections and subsequent licensing. There are many companies but ame4fun is the best. Here at Affordable Moonwalks in Houston Texas we pride ourselves in always being on time to every event ( or it is FREE) and also having clean, safe equipment with friendly staff. We are proud to be your inflatables and moonwalk rental provider for your events and we look forward to working with you on all of your bounce house rentals and more for your next party! 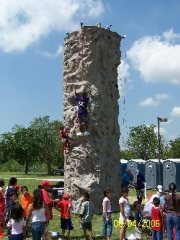 Call ame4fun Today to reserve your moonwalk rental and much more. 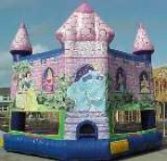 Bounce house houston and houston bounce house rentals is your main party supplier for south east Texas. If you are looking for a water slide, interactive inflatable, or just a simple bounce house rental in Houston you need to call Ame4Fun today! 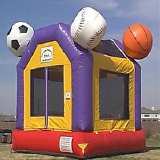 Affordable bounce house houston rentals for your next outdoor or indoor party.